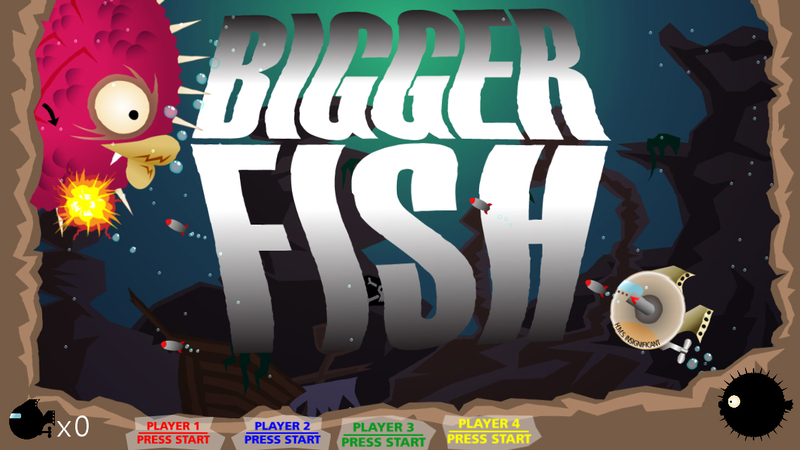 Bigger fish is multiplayer action game where one to three players team up in rather weak H.M.S. Insignificant submarines against another player playing as the big fish. The submarines team has a limited number of lives. 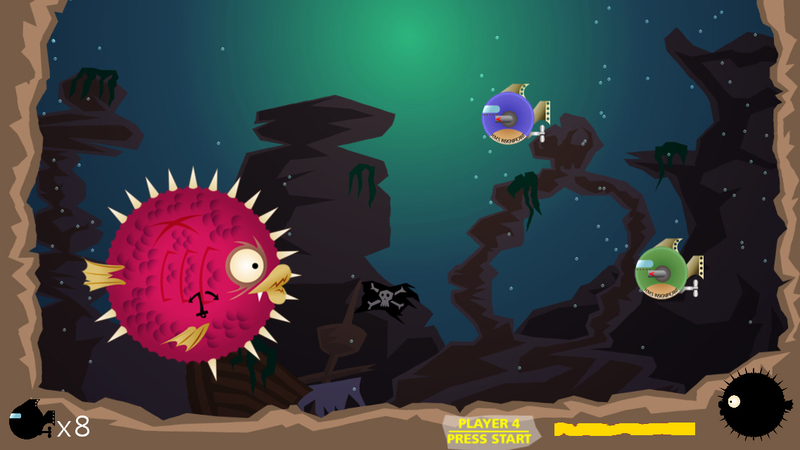 They shoot torpedoes at the fish to destroy its spikes and attack it's unprotected body for massive damage. 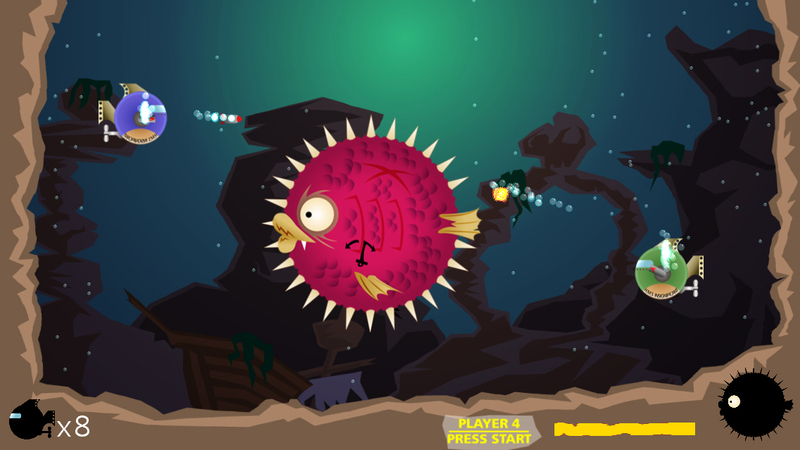 The big fish is slow moving but with its size can quickly corner a submarine. Who will win? All team members contributed to the design of the game. You will need to install .NET Framework 4 and XNA Framework Redistributable 4.0 to play the game if you don't already have them installed. Requires 2-4 Xbox 360 controllers. Picking a development platform we were familiar with. At the start of the competition we talked about trying Unity with no prior experience. 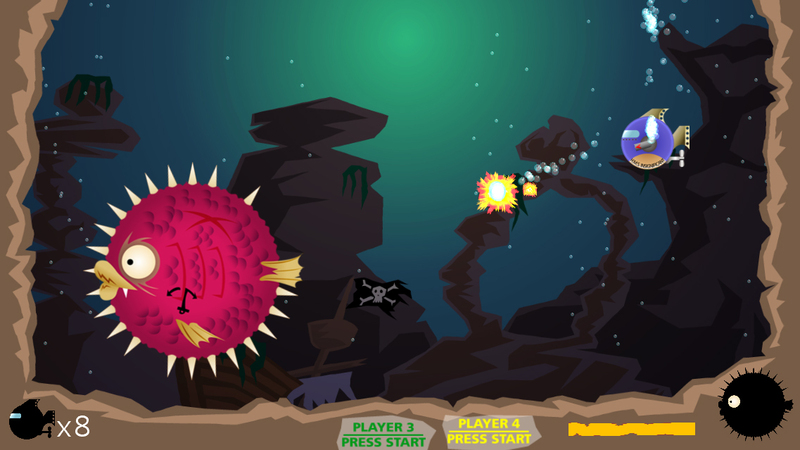 By picking XNA we were able to focus on making a game instead of learning something new. Cody did an excellent job creating art assets that were correctly sized so they were easy to add to the game. Alex and Eric had two different approaches to how to setup the overall game structure, which resulted in a mixture of the two and extremely messy code. It worked in the end but really should be rewritten. Cody: I had to work quickly to make graphics for the game that would scalable to whatever was required, but with Eric & Alex's water effects it helped the game look very nice in motion. I'm also pleased just how exciting 4 player play was, as we didn't have a lot of time to tweak it. Eric: I'm really impressed with what we were able to achieve and how fun it was to play. At times adding new features was a very quick process. Playing it for the first time with four players was a really rewarding experience.